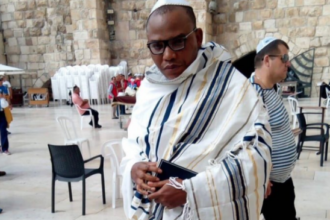 A group under the canopy of the Biafra National Guard, BNG, has threatened offensive attacks against the Federal Government if the self-acclaimed leader of the Indigenous People of Biafra, (IPOB), Nnamdi Kanu and other pro–biafra agitators are not released from detention within a month. This was mentioned in a statement by the spokesperson for the group, Mr Ruben Okoro as he announced the start of “Operation Python Cry” mimicking “Operation Python Dance” launched by the Nigerian Army in 2016. “Let’s forget our leadership tussles. Rather, let’s go like our fathers by casting lots and inquiring to find out from our gods who our fearless David is who holds our Offor Biafra, that is Biafra’s symbol of authority,” The statement from Okoro read. 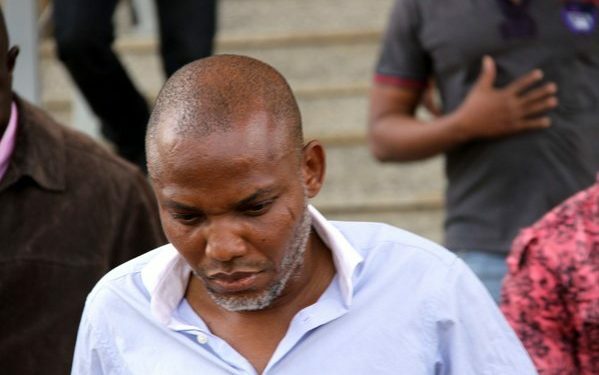 “We now launch Operation Python Cry and hereby urge the Federal Government to release Kanu, Orji, Onwuka and other Biafra freedom fighters in jail. This must be done as quickly as possible on or before January ending, or else, all the pythons that are now dancing, will turn around and cry.” He said.